1 October 2018 – Revive! sponsored Andrew Jordan was able to celebrate another podium finish as the curtain came down on the 2018 Dunlop MSA British Touring Car Championship season at Brands Hatch. Having seen his title hopes ended on a tough weekend at Silverstone, Andrew headed into the season finale hoping to make his move up the championship standings, with a chance to ending the year inside the top three overall. On the pace throughout free practice in his West Surrey Racing-run BMW 125i M Sport, Andrew qualified twelfth on the grid for the opening race of the weekend following a hard fought session, with his best time just half a second away from pole. Race day kicked off with Andrew fighting his way to eighth place in the opening race before a storming start to race two saw him rocket up to fourth when the lights went out. Inheriting third when Jack Goff was forced to retire, Andrew put the Honda of Matt Neal under increasing pressure before also being forced to defend to keep a charging Tom Ingram at bay. Andrew was able to maintain his position to secure his sixth podium finish of the campaign, whilst it was a performance that aided his WSR team-mate Colin Turkington in taking the title. 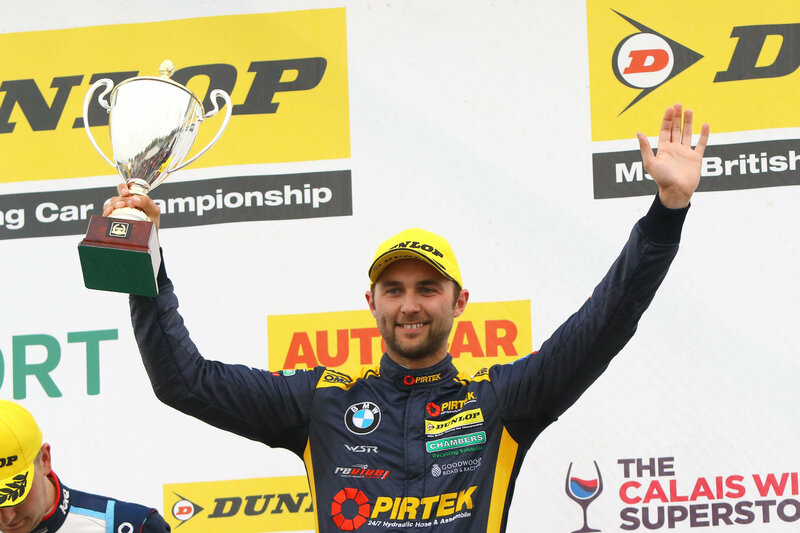 Ninth place in the final race ensured three top ten finishes from the weekend to leave Andrew fifth in the championship standings, with BMW Pirtek Racing the second best placed single car team in the Teams Championship. Andrew’s performances on track across the season, which included a win at Knockhill, also helped BMW to successfully defend the Manufacturers’/Constructors’ title. “It’s great that we have ended the year with another trip to the podium, and I’m proud of the part I have played in helping BMW to secure the Manufacturers’ championship for a second straight year,” he said. “Personally, it’s a shame that some non-scores that were completely out of my control prevented me from being in contention for the overall title myself, but I feel we have shown what we are capable of with some strong performances and some good speed over the course of the year; and particularly since the summer break. “Coming to Brands Hatch, I knew there was a good chance to move up the standings given how close the points were ahead of the weekend and after a tricky start to race day, the car really came alive in race two. I got a mega start to vault up the order and I thought we could push for the victory, but Matt [Neal] drove a good race to keep me at bay.